How Long Before a Workout Should I Take Protein? Everyone knows that you should drink a protein shake before you exercise. There are research studies that clearly demonstrate that if you have a lot of amino acids in your blood before going to the gym, when your blood flow increases, they are delivered to the muscles that are being stressed. Also, the increase in amino acids was so enhanced that it was even strengthening your anabolism! 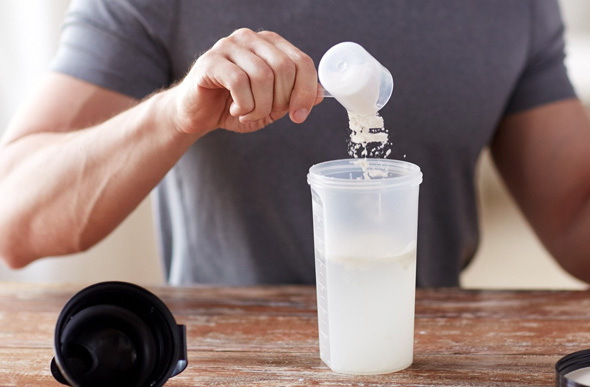 However, after these studies came out, new research showed that it doesn’t really matter when you take protein around a workout – before, after or during exercise all had the same effect with minor, insignificant variations. There is a lot of confusion surrounding this issue and it is centered around what type of protein is the optimal variant, as well as the timing of your consumption in order to get the best anabolic effect from it. A drink with 30 grams of whey protein and 5 grams of leucine, drunk at the same time. A drink with 30 grams of whey protein and 5 grams of leucine in 15 different doses. The researchers separated the leucine in 15 different doses to simulate a slow-digesting protein in a process called pulse feeding, but this also had another positive side – since the same protein was used to create both a quick and a slow-feeding protein, the confusion around amino acid compositions and their effect on the results of the study, was null. All of these conditions were separated by resting periods of 7 to 14 days. 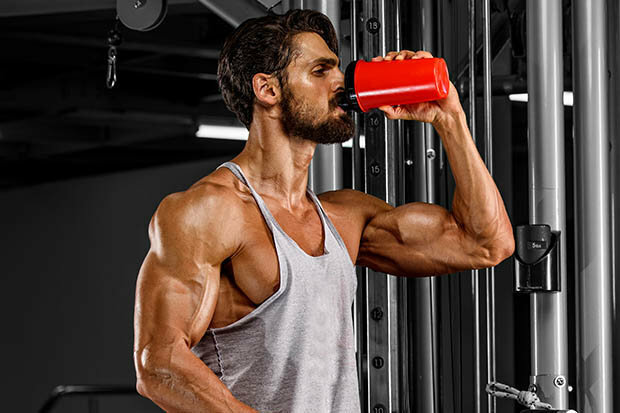 The pulse feeding process delivered a stronger response to the drink, creating higher insulin and amino acid concentrations after the workout was finished – way more than a single large dose of the same thing. The boosted post-workout blood amino acids and insulin had a greater effect on the most important anabolic signaling pathways, like the Akt-mTOR-p70S6K pathway after an hour of rest after working out. The authors of this study say that unlike the consumption of protein after stressful and intense training, where a quickly-digested protein created a better muscle protein synthesis response, when you take the same protein before working out you will have no problems even if the amino acid response is slower, you just need to keep your leucine servings small and numerous to have a high leucine. The protein protocols didn’t produce an important difference in the increase of protein synthesis in the five hours of recovery. Gain Leg Mass With This 4 Week Workout Plan ! 10 Easy Ways to Lose Fat Fast !